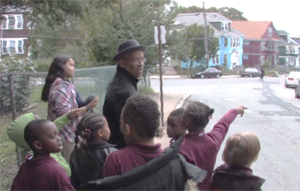 Bob Gliner's film, Schools That Change Communities, is about schools as they should be. In this pedagogical age of "time on task," "direct instruction" and a short-sighted emphasis on "Drill, Baby, Drill," Bob shows that school improvement can be healthy, engaging and lead to significant community involvement and improvement.Most often when I watch educational videos, I get choked up with anger about the wrong-headedness of the No Child Left Behind educational philosophy. Watching this film, I got choked up because Bob shows schools that manage a combination of academic rigor, community purpose and heart that is right on the money. "We have been searching for a very long time for a film like Schools that Change Communities--one that can help teachers, parents, and young people re-imagine what schools can and should be. At the Southeast Michigan Stewardship Coalition, we have already used the film as a powerful professional development tool for teachers. As a teaching tool the film is perfect. It is not only inspirational but provides a range of powerful examples with enough nuance and detail to serve as guides for action.". "This documentary beautifully illustrates the power of the partnership between communities and schools; clearly demonstrating the "win-win" aspect of project based, experiential learning for students from kindergarten through high school while enriching the quality of life in the students' community. When every student has the opportunity to learn through service to his/her community, drop out rates will plummet and test scores will rise!" "This lovely documentary is convincing testimony of what happens when school children learn by solving real problems in their communities instead of fake ones on worksheets. Test scores rise, communities grow stronger, and schools fulfill their promise of producing smart kids and empowered citizens. A film for anyone who cares about school reform or who simply needs an antidote to the endless stream of depressing news about American schools." —Joshua Aronson, PhD., Professor of Applied Psychology, New York University, Author of "Improving Academic Achievement"
Bob Gliner has an incredible skill of capturing the nuances of what it takes for school children and youth to be engaged with their communities to transform them. Schools That Change Communities shows us ways in which meaningful commitments to community arise when school folks at all levels are involved in addressing their communities' issues and interests. These schools have a stake in the well-being of their communities as they see the intricate reciprocity of relationships. Superintendents, schools boards, principals, teachers, and parents will benefit greatly from its hopeful and authentic message. When we think about schools, it usually evokes images of places separated from the larger community, place where students go to learn. 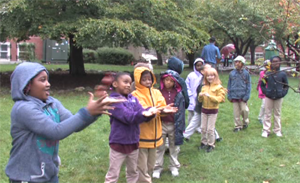 Occasionally during the school day students venture outside classroom walls to take field trips meant to enhance the academic rigor of their classroom experience, but the classroom as the primary vehicle for educational success remains largely unchallenged despite often questionable levels of achievement. Yet, a few public schools across the country are trying a different approach to engaging students in the learning process, using the community and neighborhoods where students live as classrooms - creating not only a different type of learning environment, but a different kind of student. Schools That Change Communities focuses on a diverse range of K-12 public schools in five states - Massachusetts, Maryland, South Dakota, Oregon, and California - that have the potential to refocus the national debate around the direction educational reform should take. Rejoice. Here's a film about good things happening in schools. This film is about how schools can--and should--be critical parts of the surrounding communities. It is about students and teachers learning they have value. It is about students and teachers getting up from their desks and doing important work. My advice is to buy two copies of this film, one for your local school board and one for your PTA. Write a letter to your local paper, advocating that they see the film as a first step to getting place-based learning in your community. Write and tell members of the House and Senate Education Committees about it. We have schools doing good things, and this film highlights a few of them. Bob Gliner's film "Schools that Change Communities" is very much worth watching carefully. It presents many interesting experiences from urban and rural schools that have made strong, positive impacts on their communities. They provide great examples of place-based education, schooling that is not focused on test prep. Educators, parents and others should use this film to launch their own discussions and rethinking about what schools can be and do. This is a fantastic introduction – the best I've ever experienced – to existing and potential links between schools and communities. The cultural and geographical diversity of communities profiled, along with their unique challenges, creates an expansive range of ideas for others to consider. The film creates a very compelling portrait of what education could be in America and demonstrates through many examples how much energetic potential can be tapped at this intersection between schools and communities. It should be seen by as many educators and community leaders as possible. Schools That Change Communities offers authentic examples of how children can be raised in a society that takes its democratic participation seriously. This film pushes us to think that it is possible to fulfill the promise of America as a place where we can address our own issues, and it does it beautifully showing children actively engaged in real life education in genuine community contexts. I found the stories of children, teachers, schools and communities to be quite moving. The students found a sense of agency and relied upon all the disciplines to engage in meaningful ways with the places in which they live. Thanks for doing such an inspiring piece. A helpful, illustrative exploration of the power of experiential learning and of fostering links between schools and the communities they serve. This inspirational documentary demonstrates the power of young people, from nursery to high school age, to bring new life to their communities, to transform their world and themselves. Moving, full of optimism and beautifully illustrated, it poses a real challenge to educators and decision-makers the world over. If these ‘ordinary’ schools, some in the most severely disadvantaged areas, can raise confident, capable, well-educated young people who have already helped regenerate both their community and natural environment, can we do the same? This film will inspire and guide not only Scottish educators and those involved with youth welfare but everyone who aspires to a better, fairer, more successful Scotland.